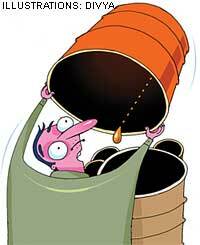 The story of The Last Oil Shock has been told countless times. World oil production is expected to peak soon and then plateau--known as the peak oil theory--no alternative forms of energy can replace fossil fuels sufficiently and it's not far when we will have to kiss our car keys goodbye and our financial, trade and agricultural systems will struggle to cope, recessions, depressions, and global turmoil will ensue. The theory was put forward by Hubbert in the 1950s, and many geologists and scientists have elaborated on it. But David Strahan takes the reader through this oft-repeated story with elan, revealing something new to even old eyes. Strahan is an award-winning investigative journalist.His knowledge and understanding of the oil crisis was evident in two-award winning documentaries and it is clearly distilled here. 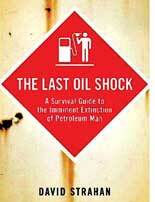 The Last Oil Shock is written with wit, insight and sometimes contempt. Strahan brings the subject from the battlefields of West Asia, boardrooms in London and North Sea drilling platforms into your home, so to speak, making concrete the implications that will change our lives forever. And it is full of startling insights. Consider this apples grown in the UK are flown to South Africa to be waxed and polished before being flown back the UK to be sold in supermarkets. What an enormous wastage--even to those who seek cold comfort from the current ratios of oil reserves to production. There is lot else to praise about The Last Oil Shock. Strahan reaches out to the lay reader without simplifying. The Last Oil Shock is not a technical book, but where necessary the data is presented in a comprehensible manner that will not deter the average reader. Strahan also presents and deconstructs the arguments of the doubters. He also takes environmental organizations such as Greenpeace to task for not pushing the peak oil message when in theory it provides extra impetus to climate change mitigation strategies. Strahan's last chapter on mitigation strategies is his weakest. In effect he says nothing more than discard your SUV. Right. But all the SUVs jettisioned will not make for a solution. Strahan's predicament is a difficult one given his disenchantment with alternative forms of energy such as wind and solar energy. It is not just cars and buses and airplanes that strain the Earth's oil reserves--though the pressure from them is the most acute. Electricity generation, agriculture, medicine and a myriad other activities depend on fossil fuels. The fertilizer and pesticide derived from petroleum and natural gas, water is pumped and farm inputs and labour transported to the field with the help of coal or oil. This food in turn reaches consumers with the help of further hydrocarbon use. It's scary to think of the time when we run out of oil.